A gift from Oswaldo's brother to my mother as a thank you to her and her husband. Thank you for your request. The presented object is a lithograph or offset print on paper with unknown measurements. 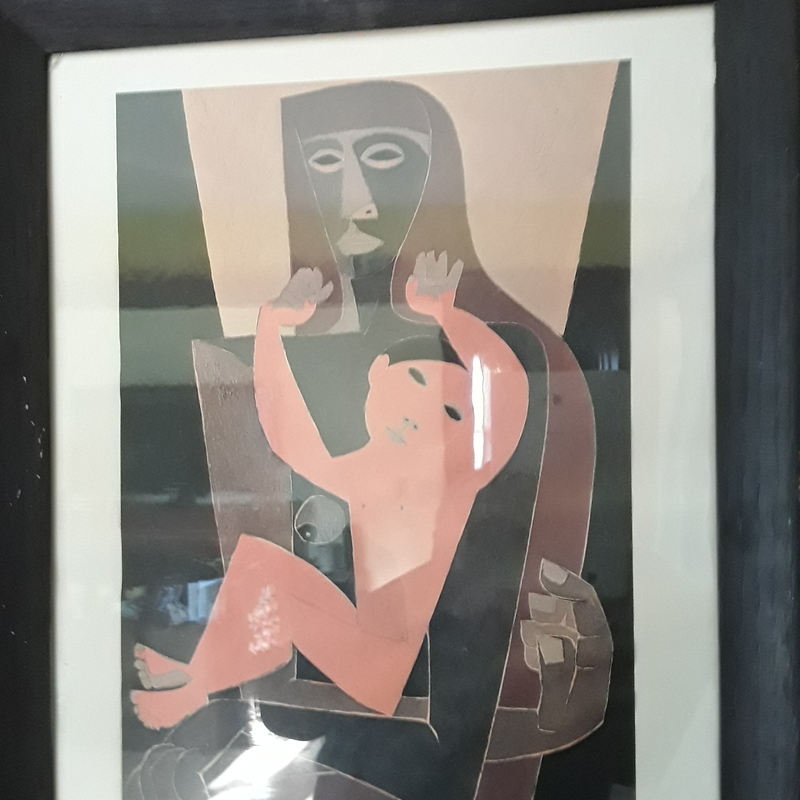 This print is after a painting by Oswaldo GUAYASAMIN (1919-1999) and depicts a mother holding her child. This print appears to be signed by hand by the artist in the right lower corner.